On the 5th July 2018 the NHS turned 70 years old; the perfect opportunity for us to celebrate the achievements of one of our most cherished institutions, and recognise the incredible staff working tirelessly to care for our nation. At the Living Wage Foundation, we’d like to give special mention to those NHS organisations who are rewarding their hardworking employees for the vital role they play in our lives, by paying them the real Living Wage for the real cost of living. There are 40 Living Wage NHS organisations across the UK, working tirelessly to ensure the health and wellbeing of their communities through their commitment to both their patients and their staff. The Greater Manchester Mental Health NHS Foundation Trust (GMMH) became the first accredited NHS trust in the North West in October 2015. The pockets of deprivation across the North West, particularly some of their core areas in Salford and Manchester, has significantly impacted on both the physical and mental wellbeing of these communities. 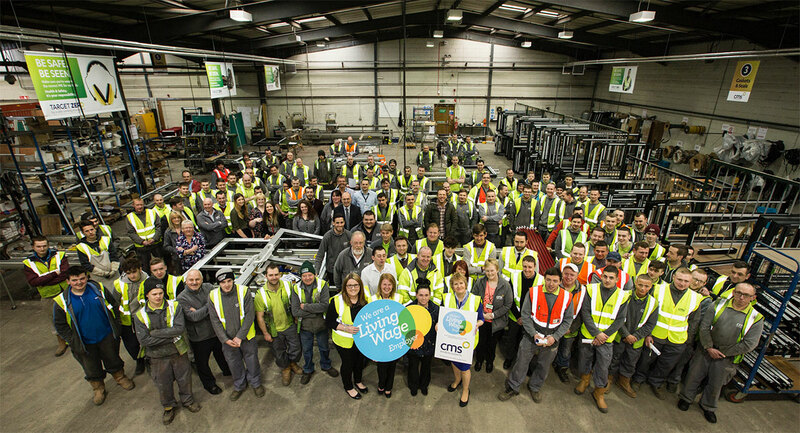 By being a Living Wage Employer, GMMH are demonstrating their commitment to the local economy and, as a result, the health and happiness of the people of Greater Manchester. Research shows the link between low pay and an increased risk of poor physical and mental health. A survey carried out by the Food Standards Agency in 2017 found that one in four low-income households struggles to eat regularly or healthily because of a lack of money. Our own study found that 71% of parents earning below the real Living Wage worry so much it affects their day to day lives, while 35% always, or quite often, feel lonely. But when employers choose to take a stand by ensuring workers and their families earn the real Living Wage, it is shown to hugely improve the psychological wellbeing among employees. Studies in a 2014 report from Public Health England and the UCL Institute of Health Equity have suggested that the introduction of a Living Wage is associated with significant improvements in life expectancy, depression and activity-limiting illnesses. GMMH are an example of an NHS Trust that is committed to improving the lives of others, by paying the staff helping to provide high quality care enough to have healthy, happy lives themselves. Not only has this enhanced the quality of work by staff and reduced absenteeism, it also helps them recruit and retain excellent employees. “Whilst it can be a challenge, being a Living Wage Employer is the right thing to do – especially for a mental health trust. Working in this field is extremely rewarding, but it can be difficult at times. Some of our service users are very ill when they come to us and need highly intensive and supportive care. Our staff are our greatest asset and the Trust simply could not operate without the dedication of our domestic staff, healthcare support workers, porters and administrative roles. The evidence for the need for a Living Wage is overwhelming and the link between an increase in income and an increase in psychological and physical wellbeing is clear. The 70th birthday of the NHS gives much cause for celebration; of a healthcare system that keeps us happy and healthy, and of the unsung heroes working tirelessly to keep it going. We would encourage more organisations to follow the lead of the likes of GMMH and join the Living Wage movement by rewarding a hard day’s work with a fair day’s pay.